In the weaver’s world the word “hemstitching” is used for two purposes: to tie up loose ends (literally, because an “end” is a thread in a warp) and for decoration. On a rainy Monday morning. Video board's going to be huge. 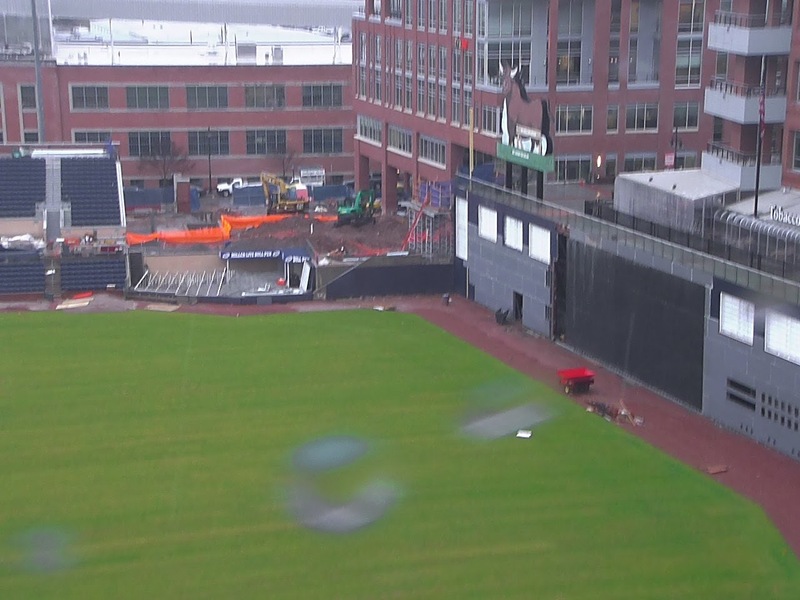 Wonder what's going to go behind visitor bullpen area? Keeping an eye on potential Bulls. The big news is that Hak-Ju Lee looks healthy. We missed Erik Bedard on our list, but he also looks like he's got a good shot at the Rays rotation. Stories here and here. Cork Gains over at Rays Index projects a 25-man roster that has a couple of our watchlist guys on it: Logan Forsyth, Jake Odorizzi, Juan Carlos Oviedo. Gains would put Karns and Bedard with the Bulls. Rays Radio had a interesting interview with Adam Liberatore. Tim Beckham was interviewed regarding his knee injury and rehab progress. Rays Index scoured the web for images of former Rays in their new uniform. Several have spent time with the Bulls in recent years. DRaysBay has its season projections up. Several players on our watch list mentioned. The Process Report reports on Rays depth and takes a close look at almost everyone on our list.